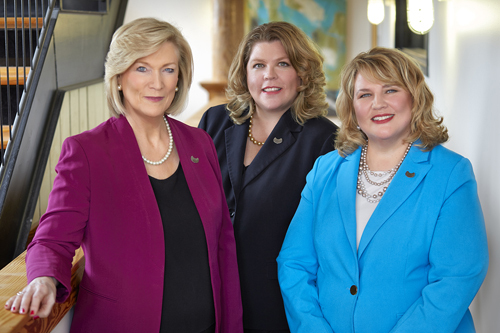 Burnette Shutt & McDaniel was founded based on an idea: That the law does not remain the same, that it evolves and progresses as times change. That’s why our attorneys have dedicated their careers to moving law forward. We’ve succeeded, too, in winning key battles that have protected the rights of others. We’ve fought to give women the right to attend any state-supported college they choose. We’ve battled so girls can play contact sports. We’ve helped make sure that all couples in South Carolina can marry. We’ve prevented utilities from overcharging small businesses. We’ve stopped government agencies from firing people based on their sexual orientation. And we’ve fought regulators who tried to run over the rights of South Carolina businesses and licensees. Not every case involves a landmark decision. We fight just as hard for client in cases that might not set legal precedent but still involve major changes in their lives. We’ve helped people in disputes with homeowners associations, and we’ve worked to protect employees’ benefits. No matter the cause or the client, we apply the same dedication. It’s a commitment backed by legal savvy and experience forged under fire. 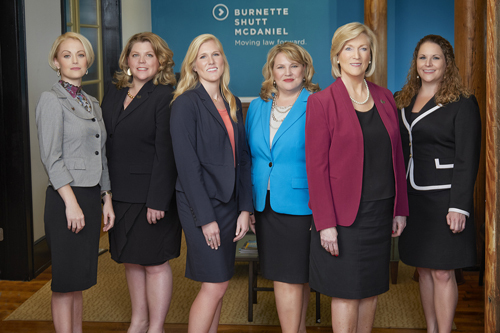 At Burnette Shutt & McDaniel, we’re determined to be a different type of law firm, one where fearless drive and passionate commitment are all part of the day’s work, every day.